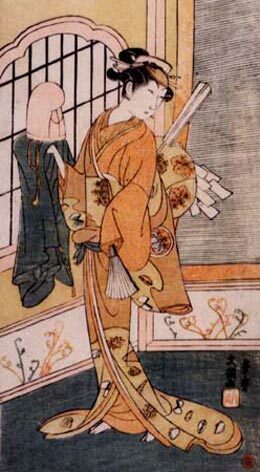 The actor Yoshizawa Ayame II held the name of Yoshizawa Sakinosuke I from the 11th lunar month of 1716 to the 8th lunar month of 1729. The actor Yoshizawa Ayame III held the name of Yoshizawa Sakinosuke II from the 11th lunar month of 1737 to the 10th lunar month of 1764. The actor Yoshizawa Ayame IV held the name of Yoshizawa Sakinosuke III from the 11th lunar month of 1764 to the 10th lunar month of 1778. Born in 1785. 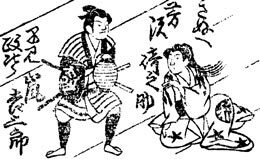 He started his career in Ôsaka in kodomo shibai as a disciple of Fujikawa Tomokichi I, performing under the name of Fujikawa Minosuke. 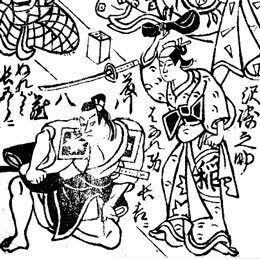 He became disciple of Yoshizawa Iroha I in 1805 and received the name of Yoshizawa Minosuke. 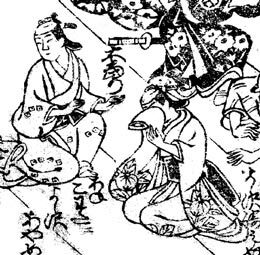 He was adopted by his master in Fall 1807 and took the name of Yoshizawa Sakinosuke IV in the 11th lunar month of 1807 in Ôsaka at the Kado no Shibai. This promising wakaonnagata actor appeared on stage for the last time in the 11th lunar month of 1809, in Ôsaka at the Takeda no Shibai, a hama shibai venue, and died the 25th of the 12th lunar month of 1810.